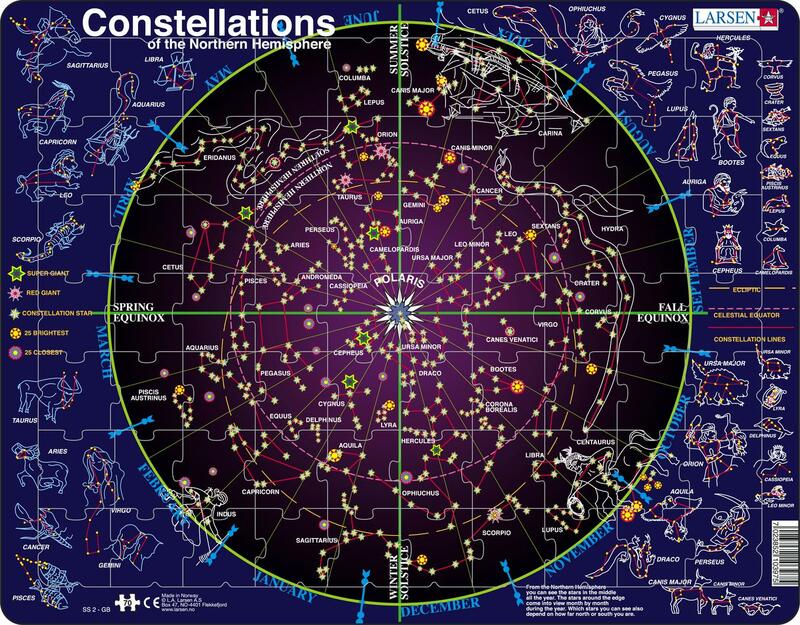 Learn about the different constellations of the night sky. Inside the circle is the starry sky seen from the northern hemisphere. You can only see the stars furthest out in the circle at certain times of the year, and therefore the sky is divided into 12 parts with the names of the 12 months of the year. At both sides, you will find all the most well-known constellations.